Upon arriving to the Chateau de Vincennes, the most accessible Chateau from Paris, you will get to experience a medieval story that spans over six hundred years, like you are stepping into history. 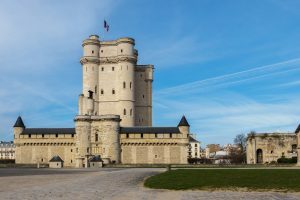 From hunting lodge, to military fortress, to royal residence, to state prison, Chateau de Vincennes has stood through the majority of France’s rich history. 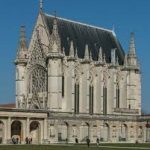 Built in the 12th century, just before the Hundred Years War, having many different uses and residencies up until the second World War, Chateau de Vincennes is a castle that has changed as often as the country around it. When Chateau de Vincennes was constructed, it was initially built by Capetian monarchs as a medieval hunting fort in the middle of the forest of Vincennes. As the Middle Ages grew more brutal, the need for a strong military citadel was fulfilled, and the development of the tower began. It was during the sixteenth and seventeenth centuries where the chateau began to grow, as a site for royal births, weddings, and deaths, the castle eventually housed the monarchs, up until the completion of the Chateau de Versailles. 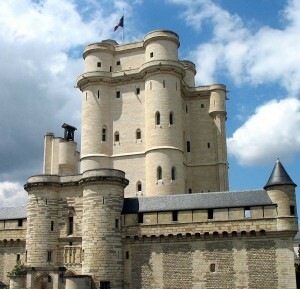 When Louis XIV decided to relocate the monarchy to Versailles, the Chateau de Vincennes, the castle was turned into a state prison. There are a few recognizable names that were imprisoned in the Chateau de Vincennes. One in particular is the Marquis de Sade, who spent some of his sentence in the Chateau de Vincennes, and in his cell you can even get to see some of his writings. As the Chateau began construction in the twelfth century, admission to this chateau will allow you to see archeology and history from the collections of epochs such as the Byzantine, Middle Ages, Gothic, Renaissance, and Baroque all within the classical architectural style of its commencement. A basic adult ticket gets you into the grounds: The King and Queen’s royal pavilions, the museum, chapel and chateau. Once you step onto the property, you will truly feel like you have stepped back in time as the fortress is surrounded by a moat, only accessible by bridge. 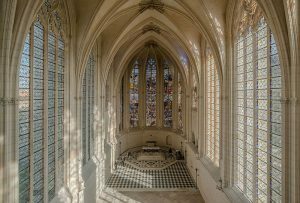 The Sainte-Chappelle de Vincennes, modeled after Paris’ famous Saint-Chapelle, was built in 1379 and took over 150 years to build, and with all of its beautiful architecture still intact, it’s a must see. Across from the holy chapel, make sure to check out the donjon, the main tower, which at construction was the tallest fortified donjon in Europe, and it is the tallest still existing in France today! After a morning or afternoon full of exploring the grounds, feel free have a picnic on the pavilions surrounding the chateau, exactly where Louis XIV entertained his courts while staying in Vincennes, just before moving to Versailles. Recently opened are the preserved areas of the keep, so now you can get an “inside scoop” on what it was really like to live as a king, or even as a servant during this rich times in history. The basic ticket into the Chateau de Vincennes offers you a self guided tour around the manor, grounds, holy chapel and the lower floors of the keep.